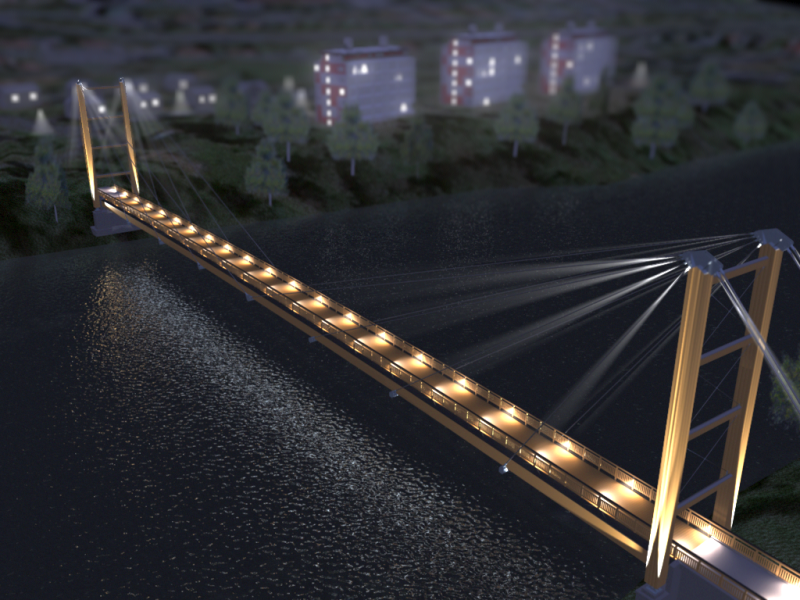 Smart Wooden bridge in Smart City is a project to provide data, models and tools to measure performance and quality on a wooden bridge construction. A collaboration between Luleå University of Technology and Skellefteå municipality creates exclusive conditions for the measurement and analysis of timber structures in order to strengthen the competitiveness of the wood products industry. 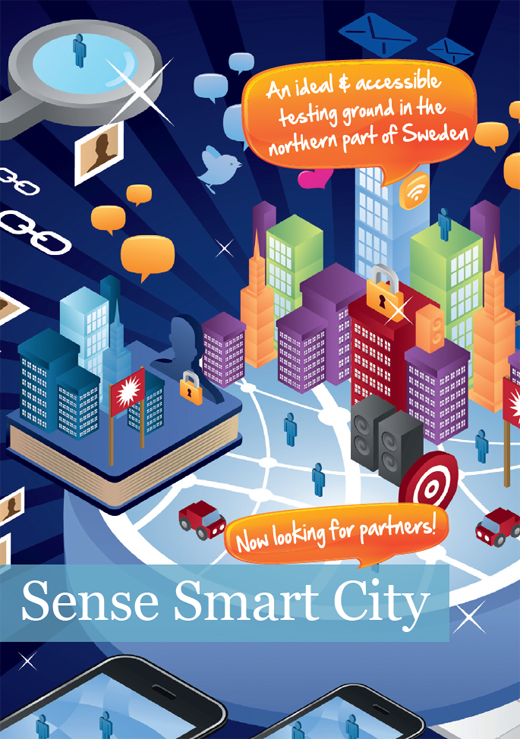 Sense Smart City is a Swedish project designed to conduct research, create new business opportunities and sustainably increase ICT research and innovation capability with specific objective to make urban cities/areas "smarter". The project will generate new and better ICT solutions, that instrument urban areas to gather and combine information (energy, traffic, weather, events, activities, needs and oppinions) continously as well as "on-demand". This will enable city environments to become "smarter", as more adaptive and supportive environment, for its inhabitants and visitors - people as well as organisations. Project activity plan includes smart city pilot services/operations with activity center in the Skellefteå area in north Sweden. Using these pilots as drivers, project will build capacity and perform scientific research in the area of smart city specific needs for communication, mobile systems and services. It also includes pilot implementation and utilization of distributed sensor systems for smart city services. Within the scope and context of the project, CDT will initiate a strengthened regional ICT innovation system, for sustainably increased regional ICT research, design and business innovation capability. 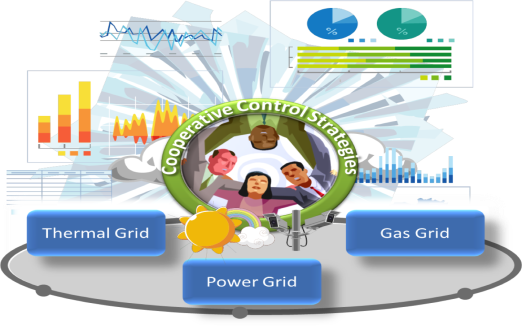 The project elaborates a Hybrid Energy Network Control System for Smart Cities implementing novel cooperative local grid and inter-grid control strategies for the optimal interactions between multiple energy grids by enabling simultaneous optimization for individual response requirements, energy efficiencies and energy savings as well as coupled operational, economic and social impacts. That data drives innovation forward are facts. New services and products generated in the open and available data creates right now a lot of new businesses and jobs. 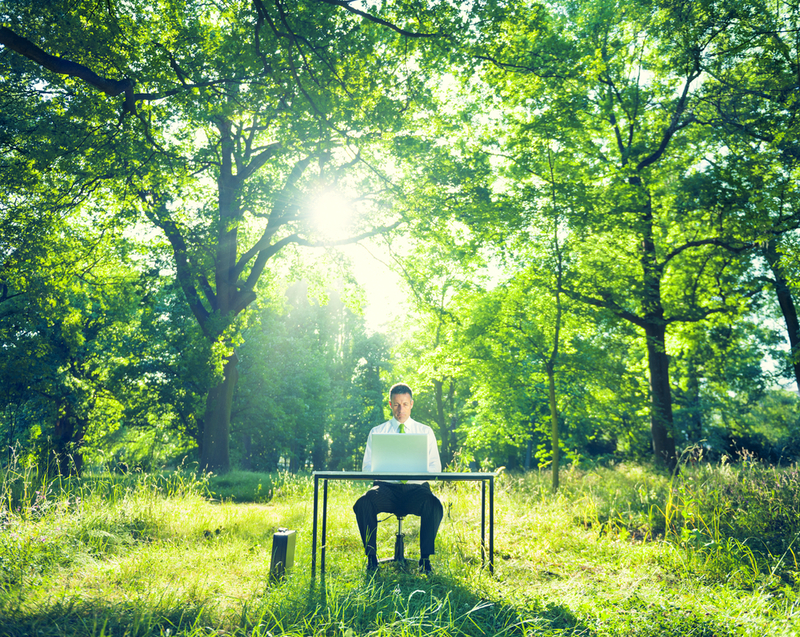 Through modern technology, new business models and processes are both industry and the public sector facing a big challenge to adapt to the new conditions and conditions that are changing at an ever faster pace. We want to drive development in northern Sweden for creating economic, environmental and social values. We work on opening up data and create demand and disseminate knowledge to treat both local and global issues. SMARTBUY intends to provide the technological infrastructure for small and medium sized retailers to become THE PLACE to buy for the people that don’t want to lose the advantages of in-store purchasing at the same time that they want to experiment the advantages of eCommerce; comparison of prices, choice of providers, reviews and specification awareness, etc.